These are thankfully not that common in rats, however when they do hit they often spread fast and do not respond to most treatments. They typically show up as a rat having breathing difficulties, which can either gradually worsen over time, or in some cases appear severely in a matter of hours. They may respond to steroids in the short term, but long term the prognosis is poor. Surgical removal is not practical, and they are often cancerous so spread fast and can metastasise to other areas of the body. It is difficult to differentiate between an infection and tumours, however if you have a respiratory infection that does not respond to antibiotics or none steroidal anti-inflammatories it is quite likely to be this. 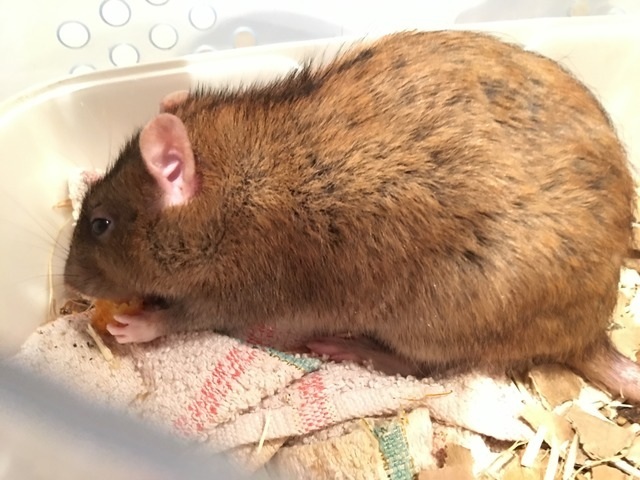 Sometimes a rat will also show signs of being “off” but not obviously ill for a number of months, then suddenly show severe respiratory symptoms. 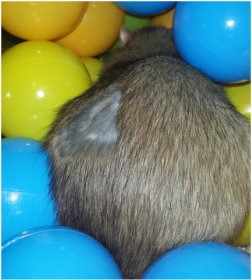 In other cases a rat may have a possible tumour in another area (say bladder) and then show sudden issues, again this could well mean the cancer has spread. This is one of the more common and recognisable malignant tumour. It appears on the side of the face below the ear and initially acts like an abscess (in fact you can get abscesses in that location) however the lump is very hard and fast growing. To confirm it is a ZGT a fine needle aspiration is recommended. If it is only an abscess there should be plenty of puss in the area, if not it is likely to be a ZGT, After some time it will begin to bother the rat and you may see it shaking its head, anit inflammatory are important to keep pain away. Generally with a ZGT it is kinder to put the rat to sleep prior or immediately at this point as the tumour will only continue to grow and usually eventually ruptures causing significant damage and pain to the rat.